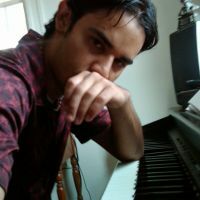 Additional Info: I have been playing piano for 27 years and am can accommodate any style needed. My specialties include: Broadway/Showtunes, Classical, Rock/Metal. I have extensive experience as a Theater Music director, accompanist and orchestral conductor and a full resume with references is available upon request. I am also an accomplished composer, arranger, and highly skilled sight-reader. I have top-notch gear; several keyboards, amps, microphones, etc. Enjoy playing theater shows, voice recitals, band gigs, house parties, weddings, etc. Fees: Stipend depends on length of gig, amount of performances, amount of rehearsals, travel time, time span to learn/practice music on own. Usually begins around $200 but I am flexible.